Last week was the busiest I've had in a very long time. Four social engagements is way too many for a hermit like me and I'm looking forward to a more peaceful week ahead. 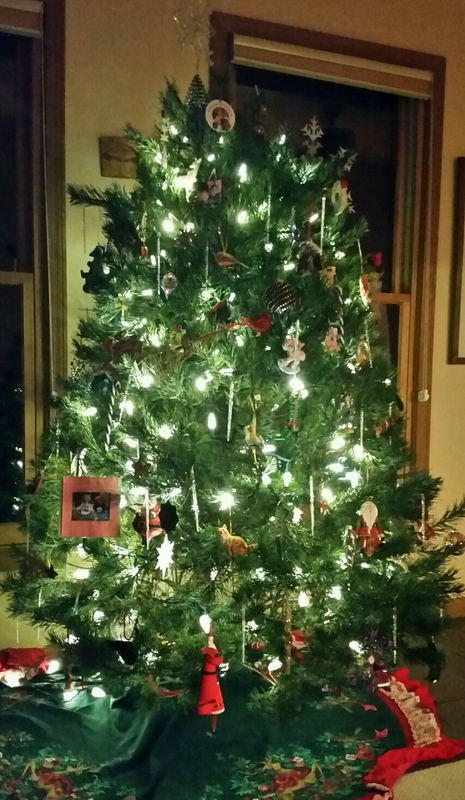 Anah, Trent, and I picked out a tree at Lowe's and my very kind son-in-law hauled it home for us. I really miss having a truck. I also miss cutting a tree, but the last couple of years we haven't. At least it's up and decorated. Anah chose a pine and it's shorter than I like as well as not my preferred choice of a fir, but it's at least a real tree. Seemed easier to go with her choice than argue. 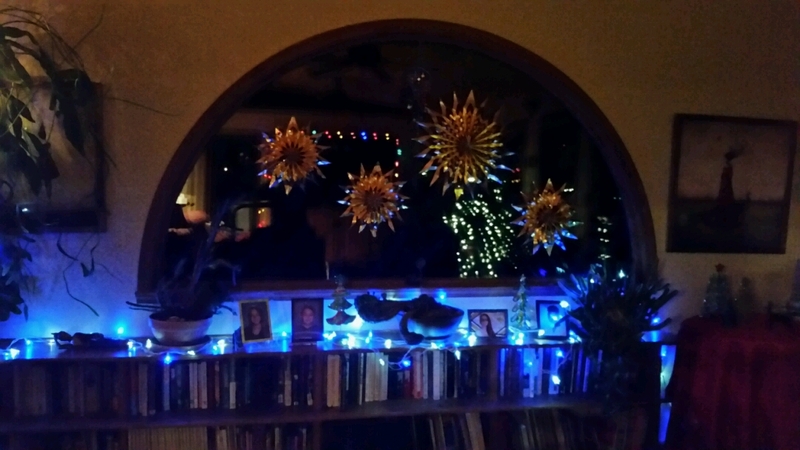 The half round window looks more like the 4th of July than Christmas. We went a bit crazy with lights this season. A few more finishing touches tomorrow and then some present wrapping should have us well on the road to the season finale. I'm tired already and just maybe next year our holidays will be more simply celebrated. If I find some good icicles, I'll get a tree. Loose tinsel? I'd need that too. I always feel like it's missing from most trees.